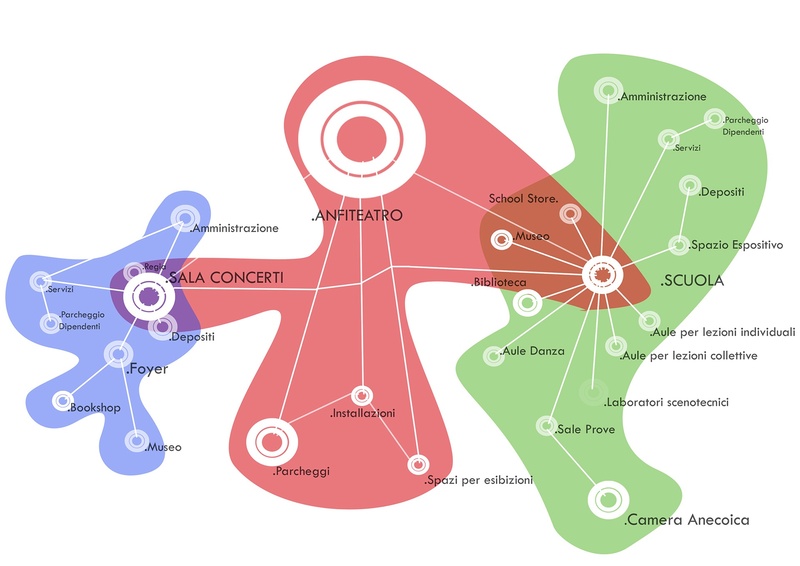 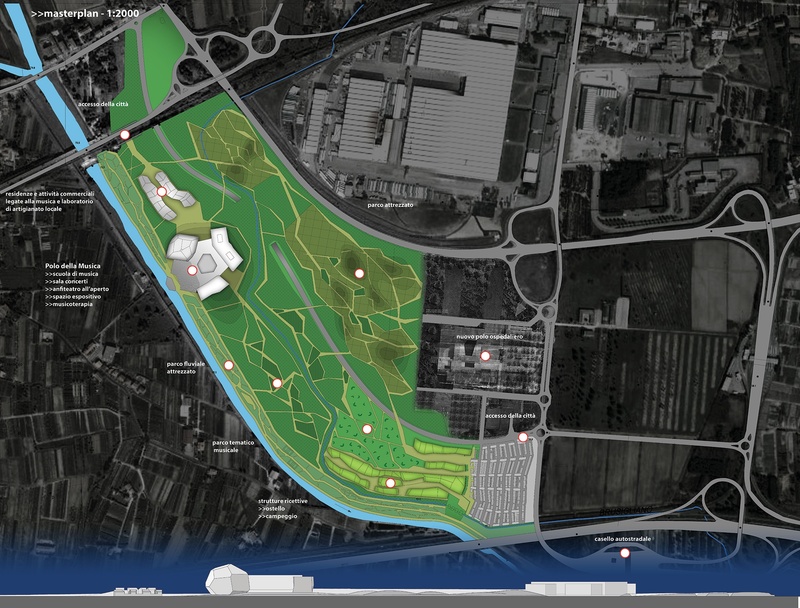 The project generates a new urban park outside the city of Pistoia where to develop, teach and discover new musical approaches. 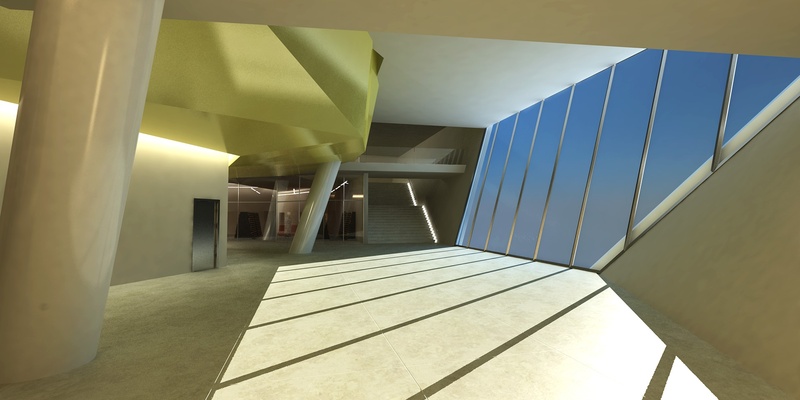 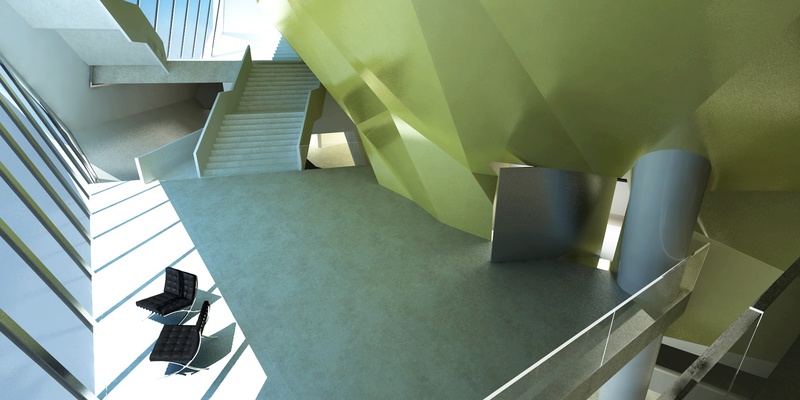 The project is composed by a large Concert hall for 1800 people, a Modern music school and a building for musical therapy and health activities connected to the adjacent hospital. 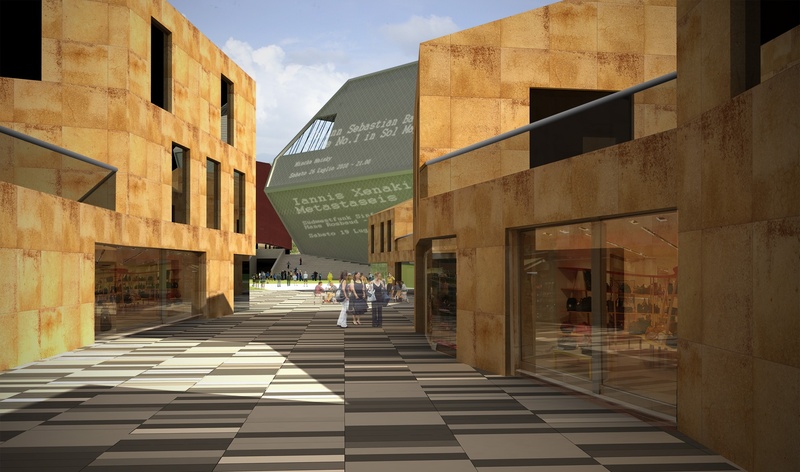 These three buildings sit on a public square located into an open system of wide green spaces. 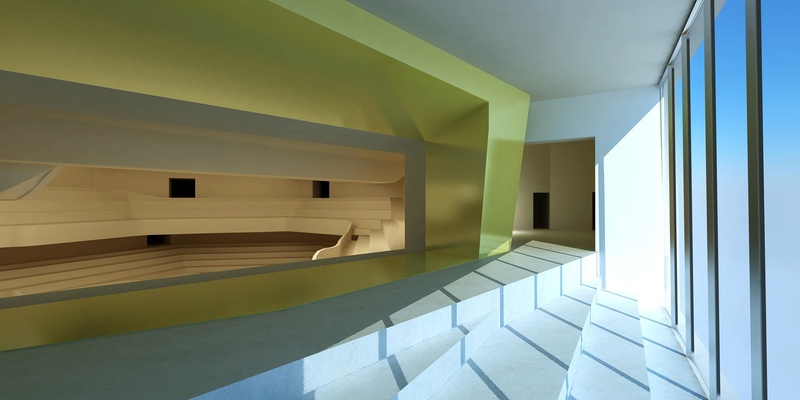 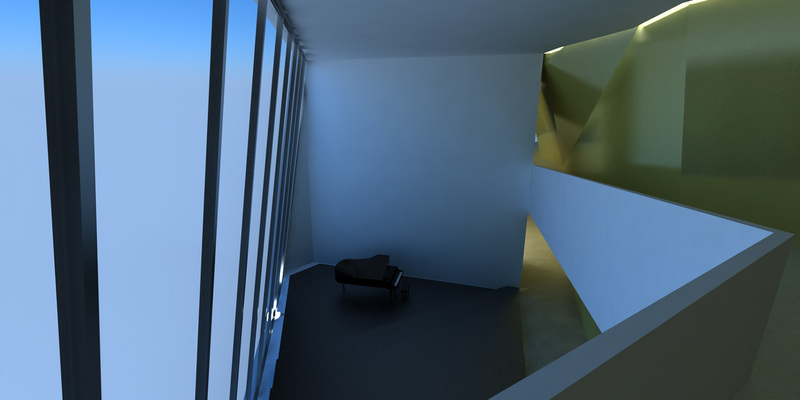 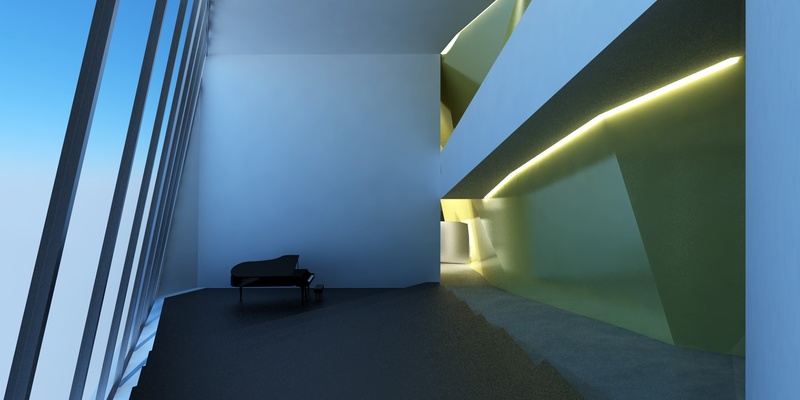 The aim is to stimulate a reflection upon the relationship between Architecture and Music. 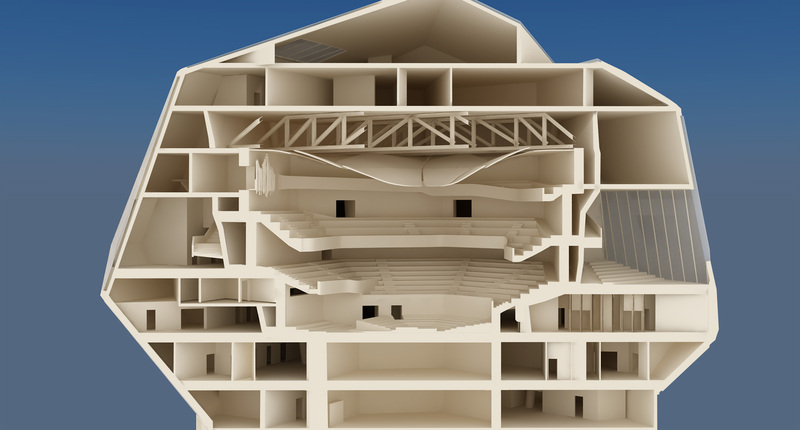 The geometry of the concert hall is inspired by the Platonic solids, which have always been associated to musical and mathematical perfection. 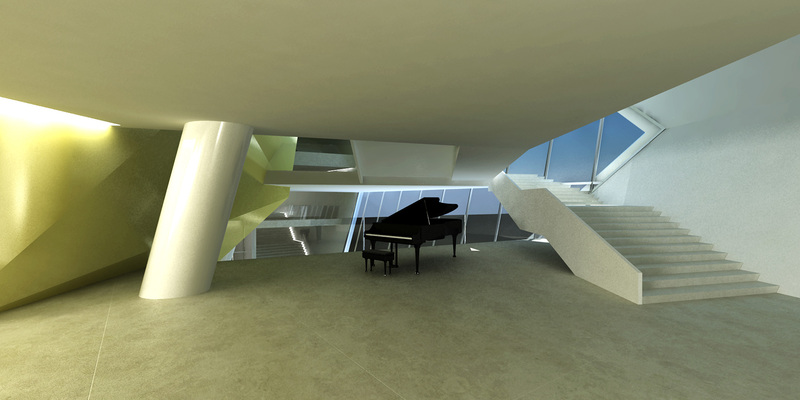 The solid is deformed to emulate the experimental irregularity of modern music. 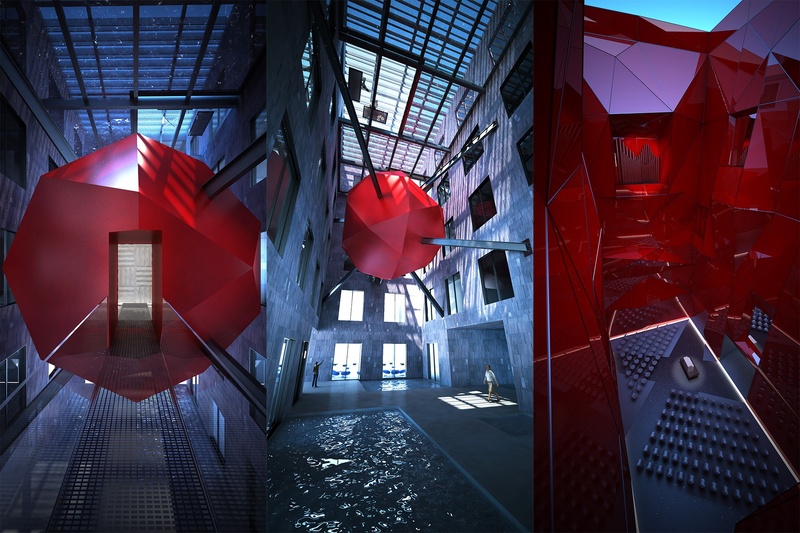 As reference to its environment, the volume is generated by the intersection of three heptahedrons (the number 7 always appears in music) aligned towards three viewpoints located in three important locations: the bell tower in town and two peaks of the facing mountains. 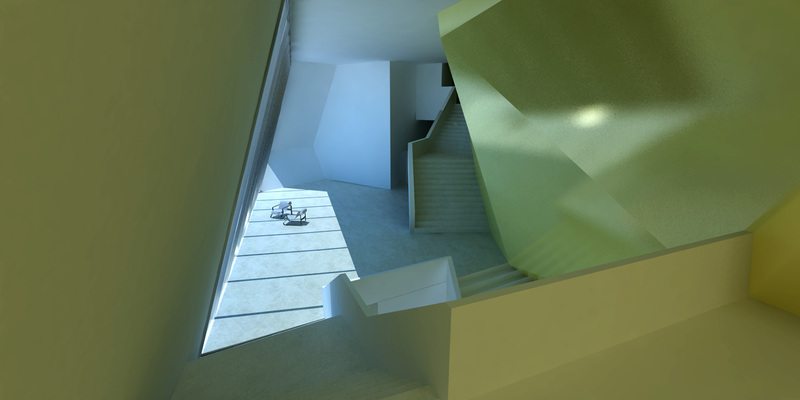 Therefore this irregular volume revealed its nature only in these three directions. 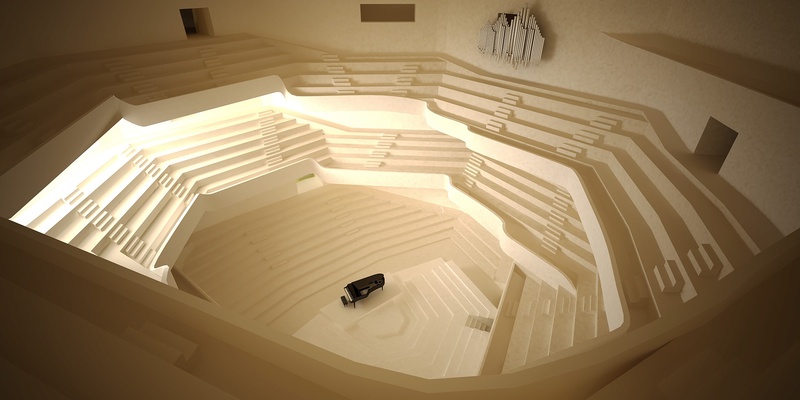 The hall is conceived as a spiral around the stage, increasing the sensation of being dramatically surrounded by the music. 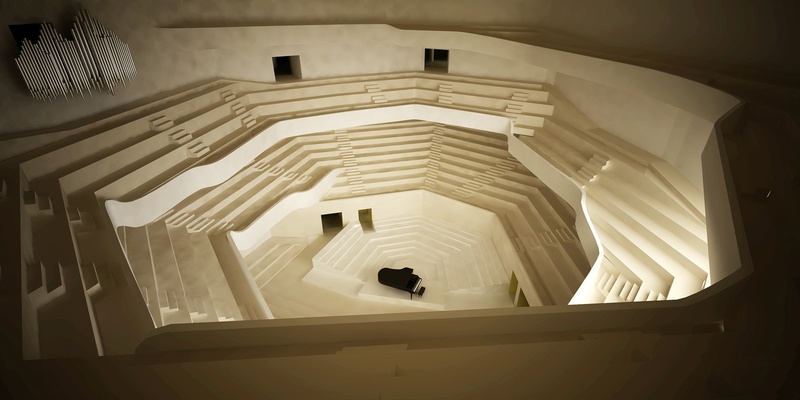 On this spiral the seats for the audience are posed at an equal distance from the musicians: the differences between the audience is almost nullified. 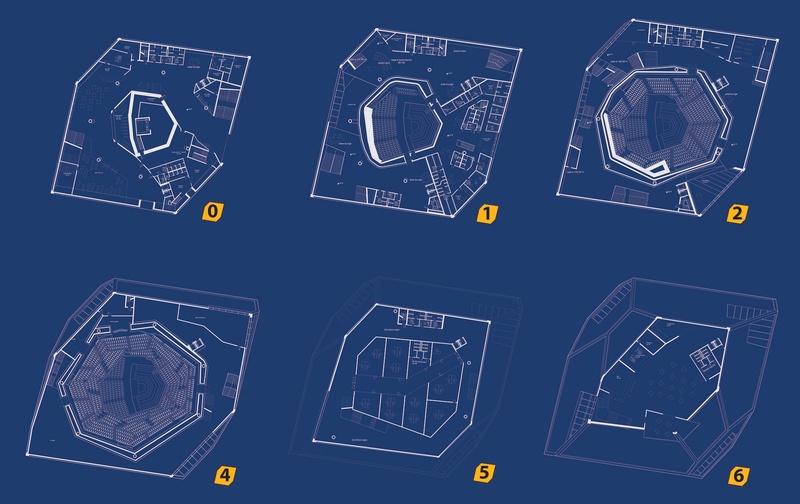 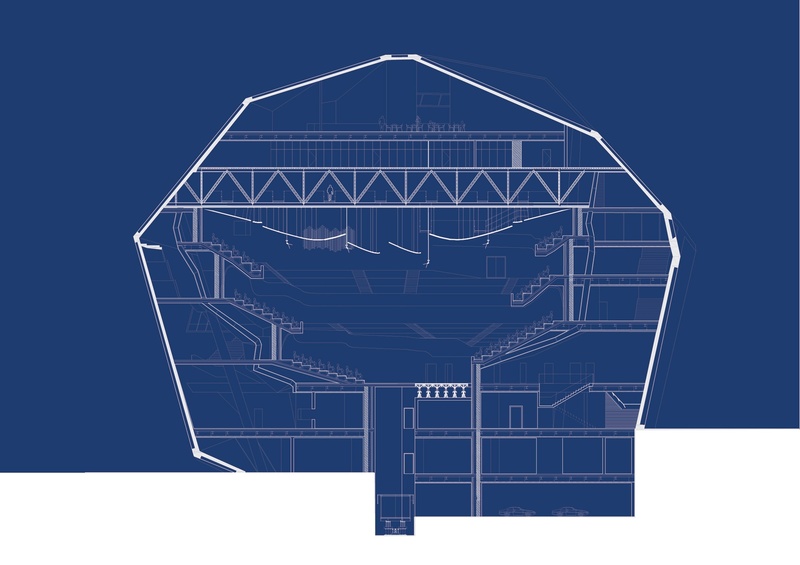 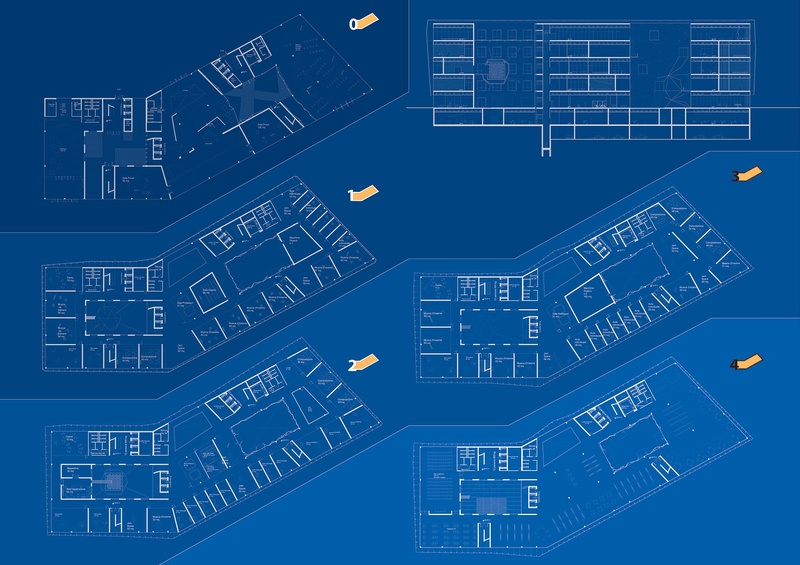 Between the main envelop and the hall itself, shops, bars, cafés, exhibition spaces, administration offices and technical rooms are located following the three=dimensional spiral order. 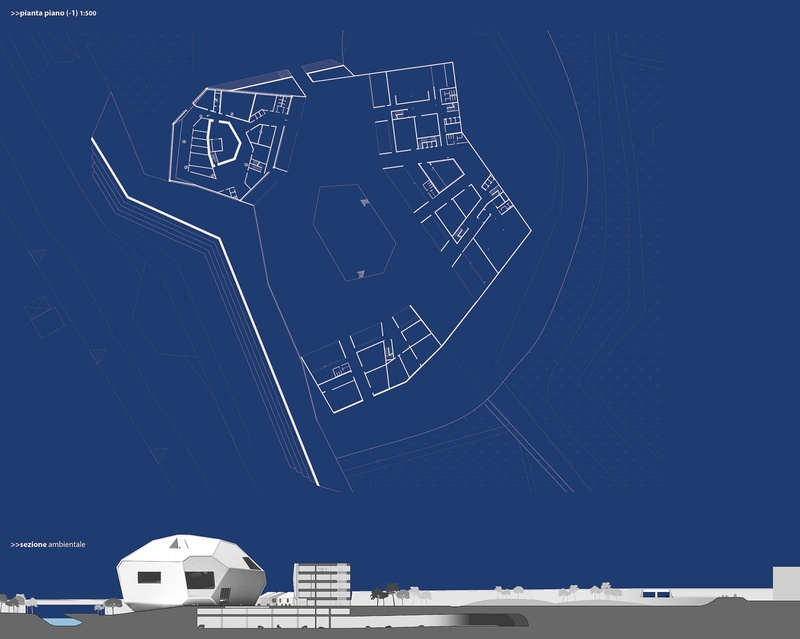 The school’s design aims to reproduce the quality of the typical Italian public spaces with its two internal public courts: the anechoic chamber’s court and the organs’ court. 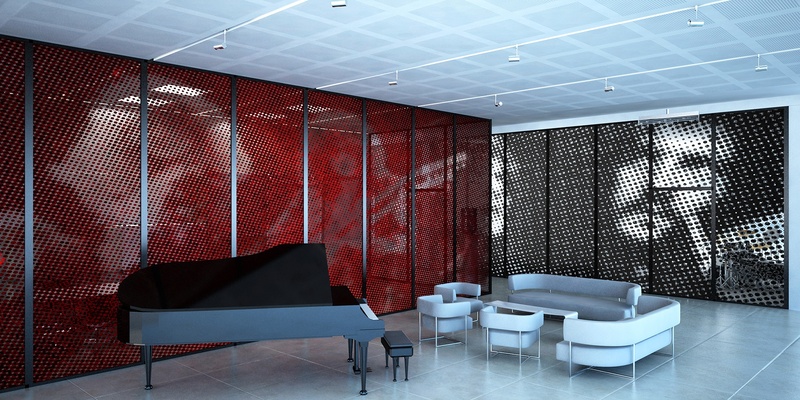 Every space is built for enhancing the experience of music: listening, learning and playing. 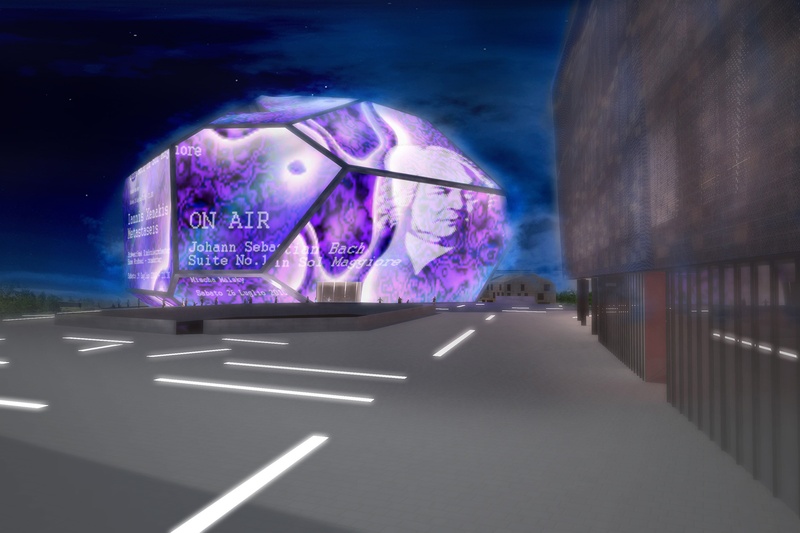 It is divided in three levels, classic, rock and jazz, with different pstterns on each level, focused on the images of important musicians of each genre.